The professional mural corkscrew is of dimension 9.4 x 3.5 x 12.6" / 24.5 x 9 x 32 cm and silver-colored. Very practical, this mural corkscrew has a rack with a steel wick that allows to unclog bottles easily and effortlessly. 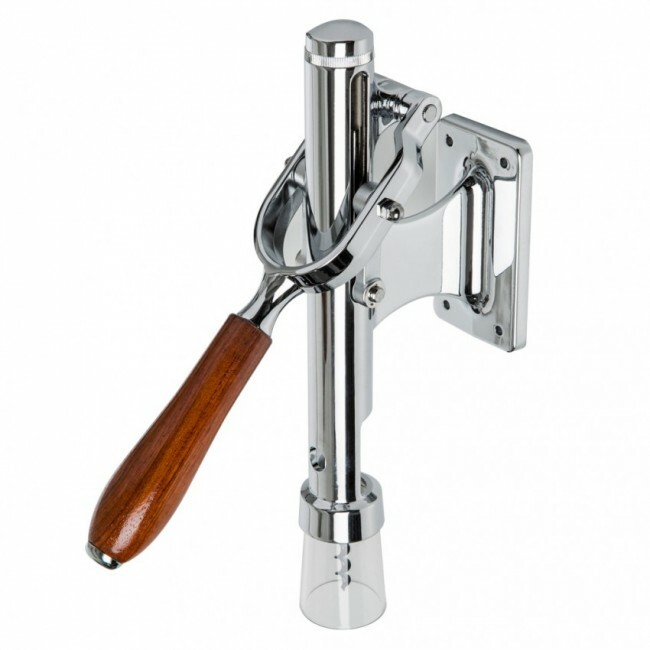 The wall-mounted corkscrew is made with chrome and has good quality, it can be fixed in bars, restaurants or even in the kitchen and the dining room, at the service of all. This small tool will undoubtedly delight all those who will use it.